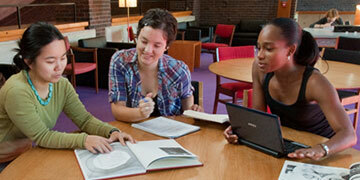 Two of the most important values at the heart of Smith College are sustainability and education. College campuses often have a large number of manicured lawns that serve as social and recreational spaces, and Smith is no different. However, these manicured lawns have a maintenance requirement that often results in the use of chemicals such as fertilizers and pesticides. These maintained landscapes are inherently unsustainable, so why doesn’t Smith convert some of these spaces to more sustainable alternatives, like a natural grass or native planting landscape? Constituents across Smith College often hear that the landscape cannot be changed because it would anger the alums. How much of this perceived resistance to landscape change is based in reality? This study aims to assess stakeholder perception of landscapes and landscape change at Smith College through interviews with key administrators. Administrators serve as proxies to each stakeholder entity at Smith, since they are often the direct line of communication between stakeholders and the college. Our study found that most administrators are in support of the conversion of peripheral landscapes to sustainable alternatives, and believe that the stakeholders they communicate with would support sustainable landscapes as well. There is a perceived reluctance to change due to the lack of communication between the administrators that represent each stakeholder. Landscape change that aligns with our college’s values of sustainability and education is feasible if there is communication and collaboration between administrators and stakeholders. Implementation of such landscape changes can begin by planning and testing more sustainable practices in small areas before up scaling to a more sizeable area. Meadows-McDonnell, Madeleine, "Stakeholder Perceptions of Green Spaces: Informing the New Landscape Master Plan" (2017). Capstone, Smith College, Northampton, MA.